Landscape photographers traditionally tend not to take photographs in the middle of the day, or in fact anywhere near it. Photographing at either end of the day during what’s called the ‘golden hour’ – when the low, iridescent sun casts surreal hues and long shadows – can indeed yield ‘eye popping’ results, turning even fairly unremarkable views into something more of a spectacle. Although we may be cynical of the syrupy imagery of these kinds of pictures, there can be something rather pleasurable in heading out purposefully to photograph the sunrise (although, if you are a fan of sleep, it’s best to restrict such activities to the shorter days of the winter months): the anticipation of a clear morning, the punctual arrival of the sun behind the horizon, and the jeopardy of whether or not you set your camera up in the ‘right’ place has a certain excitement. 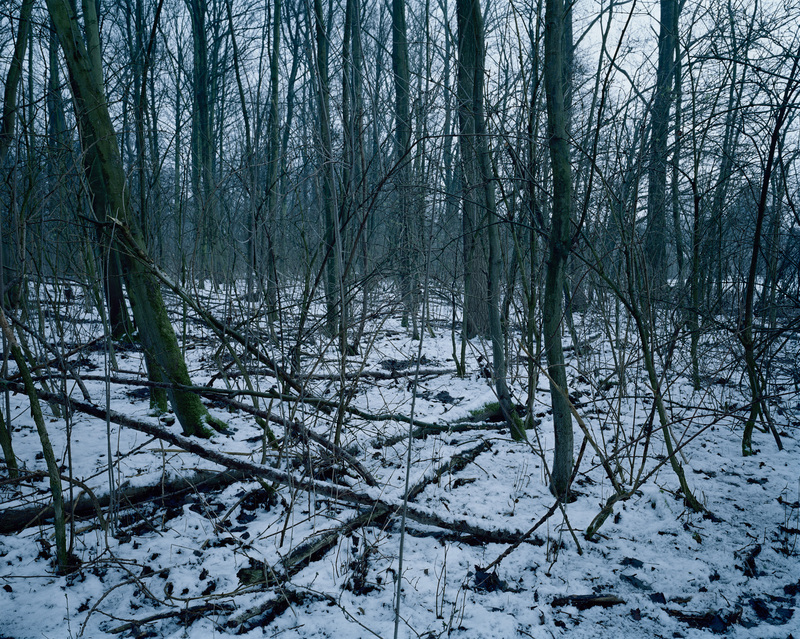 Such a romantic notion seems rather flippant in relation to Chloe Dewe Mathews’s recent series Shot at Dawn, which is included within the Time, Conflict and Photography show at Tate Modern, and was recently exhibited at Stills in Edinburgh. For the soldiers around whom the series was conceived, the arrival of dawn meant the certainty of execution, a fate they were condemned to for ‘cowardice’ or desertion of their posts and their duties; a merciless punishment that even a century on, its judicial wisdom is difficult to fathom. As a commission from the Ruskin School of Art at the University of Oxford, Dewe Mathews researched and photographed the locations in France and Belgium of a selection of these executions of allied soldiers during the First World War. Conceived within the context of the centenary of the conflict, Dewe Mathews’s photographs were made as close as practically possible to the moment one hundred years on from when the soldiers were shot. Through painstaking archival research, Dewe Mathews located and photographed, the approximate spots where solders were shot by firing squad, or where they waited prior to their executions. The precision of the photographer’s methodology, in contrast to the relative spontaneity of her other documentary projects, could be seen as a means of undermining the impassionate and calculated manner in which these soldiers were made examples of. Although there remains a degree of ignorance within the public consciousness of these macabre punishments, meted out to many solders suffering from post traumatic stress disorder [official documents relating to the execution of soldiers for cowardice and desertion were not released until the 1990s], these acts remain a smear on European military history. The passing of time has contributed to this amnesia: free of the photographer’s contextualization, we can be forgiven for failing to read the historical significance of the locations depicted in these pictures. Time has normalized, domesticated and wiped clean these black spots in the landscape and on our consciences. © Chloe Dewe Mathews. Courtesy of the Artist. 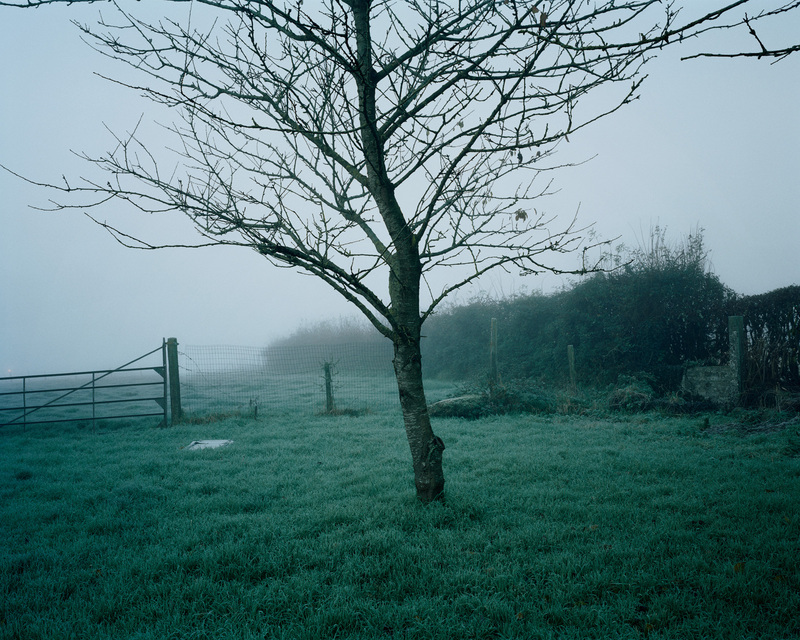 The consistency of the time of day that all of these pictures were taken provides the series with a palpable sense of discord and unease: lingering dawn fog may be charming here and there but across the twenty-three photographs this builds into something unnerving. The work is indeed about reasserting an uneasy history and uniting these narratives to specific places and, as Dewe Mathews states: “stamping [the soldiers’] presence back onto the land”, but it also conveys a sense of waiting for something terrible to happen that is beyond our control. Far from the golden hues of postcard and coffee-table book daybreaks, the cold and diffused blue-grey light of early morning dominates the colour palette of Shot at Dawn. Dewe Mathews’s views are equally untypical: sometimes angling the camera earthwards, her viewfinder pensively gravitating towards an indistinct patch of undergrowth rather than gazing towards an ember on the horizon. 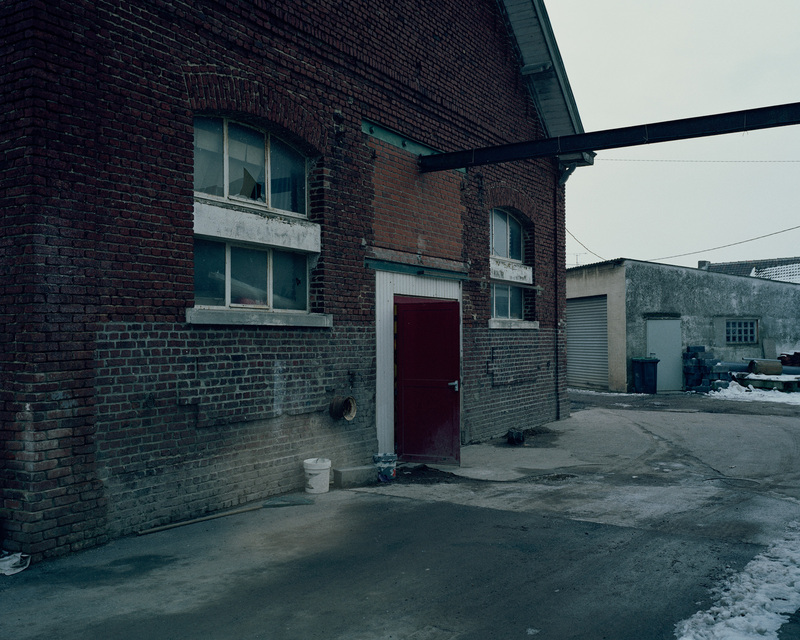 Despite the forensic research process which led Dewe Mathews to photograph these locations, the series retains a sense of the photographer’s anticipation, keeping a watchful eye out for the impending sunrise: what for most of us is a moment of celebration, but for the wretched souls remembered in Dewe Mathews’s photographs, promised only imminent death.